It’s crazy to think that Maximus has been on Guru Pet Food for over a year now, joining the Geekster family when he was just 5 months old in December 2016 and we haven’t looked back since! Quickly after we joined Instagram we noticed there was a lot of hype about this food and there’s no surprise why, it really is #TheBestForTheBest. After a fair amount of research I was blown away by the benefits Guru had and it wasn’t long after that, the first bag arrived at our door. Then, it was the most important moment… the taste test. Thankfully, he gave his paw of approval, it’s such a rewarding feeling knowing you’re feeding your dog something they love that is also full of goodness. I think Guru was actually the reason we had to get a slow feeder bowl because he’d just gobble it up so quickly! 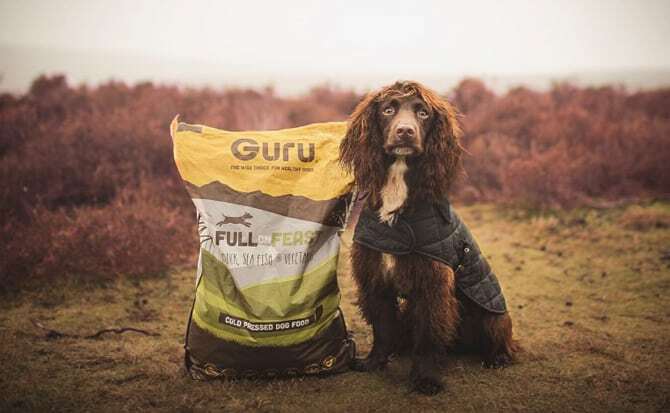 Not only is it super tasty, but it is also the closest food to a dogs natural diet you can get, meaning you can feed this food alongside a raw diet.. pretty good right? To me this proves just how high quality this food is. Now, Max never lets me miss mealtime and dribbles with anticipation awaiting his food. 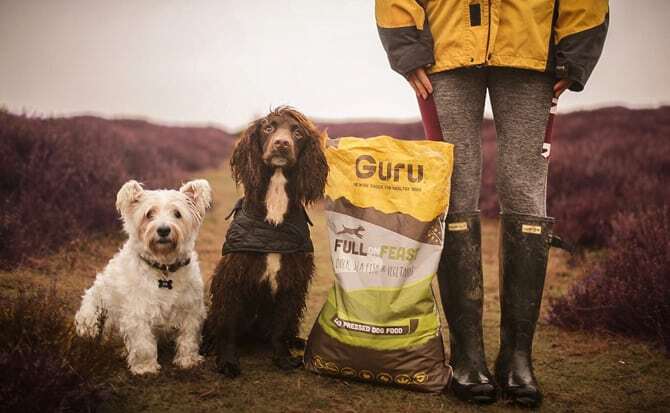 Did you know a bag of Guru can last up to three times longer than other dry foods? This is because each pellet is packed with rich nutrients so you feed your dog less to avoid upset tummies. 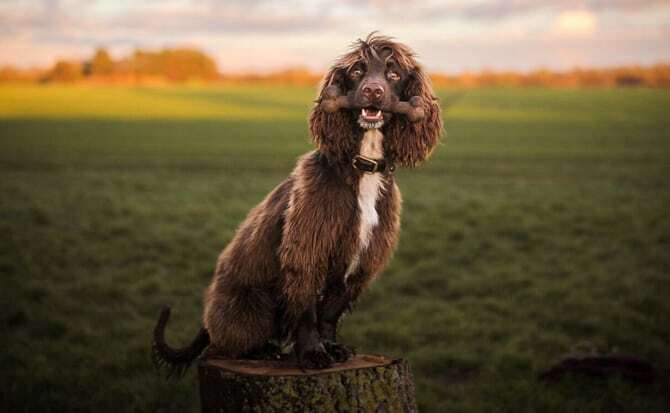 Therefore, whilst making your pooch healthier you’re also saving money! The benefits of Guru are endless, check out this blog where I talk about it in more detail. As well as their food pellets, I love their trip bones [and so does Max!] because they are so convenient to just pop in your bag when going out for the day, they make the perfect snack or a meal equivalent. I also love their bright packaging as it immediately makes the food appealing before even knowing just how good it is inside. I believe packaging is very important for first impressions and it definitely caught my eye straight away. You can imagine our excitement when we were asked to be Guru’s Adventure GeekSTAR last June. It’s been a pleasure to work with them and we’ll be sad for it to end later this year. 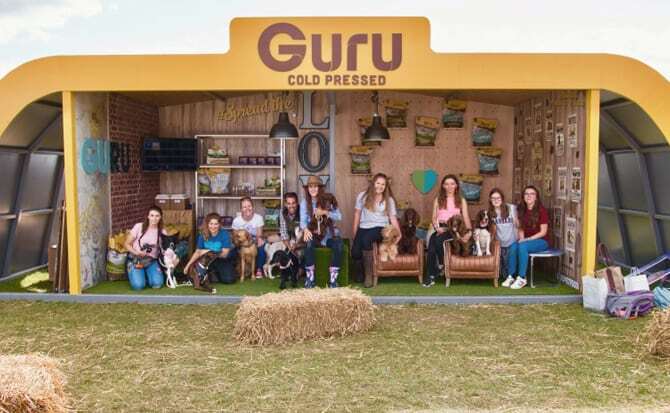 The Guru Team are honestly the friendliest company I’ve ever met which is such an added bonus. This was particularly noticeable at the summer shows we went to with them last year, they made everyone feel so welcome and were always up for a good laugh. I’m not a particularly confident person myself [which I’m working on] but they made me feel so comfortable and relaxed. They are memories I’ll cherish forever and I can’t wait to catch up with them again this year. We love Guru and their passion for what they do, if you aren’t part of the Geekster Family already, why not! ?